Antique and vintage glass from the Venetian island of Murano will be coming for auction on 27th February at Italian auction house. We pick our favourite pieces. This Murano auction at Cambi is the largest of its kind to date to take place in Italy. Featuring over 300 lots, the auction boasts limited-edition vases, bottles and glasses made in the 20th century by the master glassmakers. 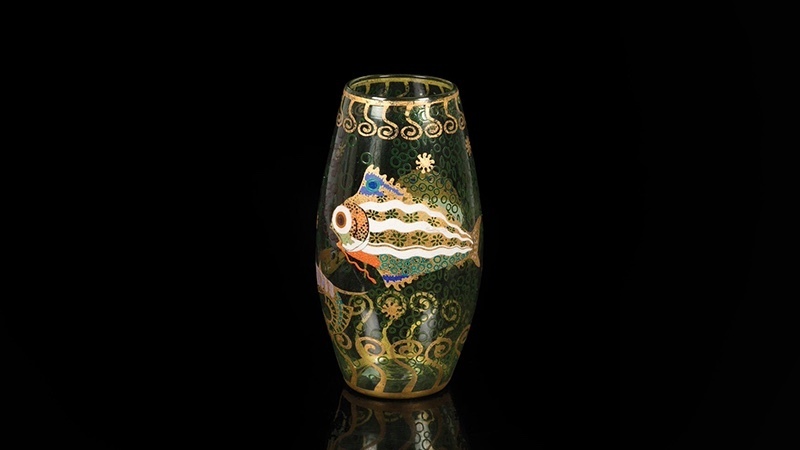 The most highly prized object of the auction is a rare vase blown by Vittorio Zecchin made in soft green glass and decorated with stars and fish made from a polychrome enamel. The extraordinary piece dates from the 1920s. Also created in the 1920s are pieces by Umberto Bellotto Artisti Barovier for the Compagnia Venezia Murano. The rare green and blue vases are both adorned with Murrine-style elements, a technique of melting colourless or colourful glass threads known since antiquity. The auction will feature a series of filigree white vases from the 1940-50s, some of which have been decorated with gold leaf. They were made in the Vetreria Aureliano Toso, whose founder Aureliano Toso came from a long-line of Murano glassblowers. Since founding his glass factory in 1938, Tosso has worked with artist and designer Dino Martens. 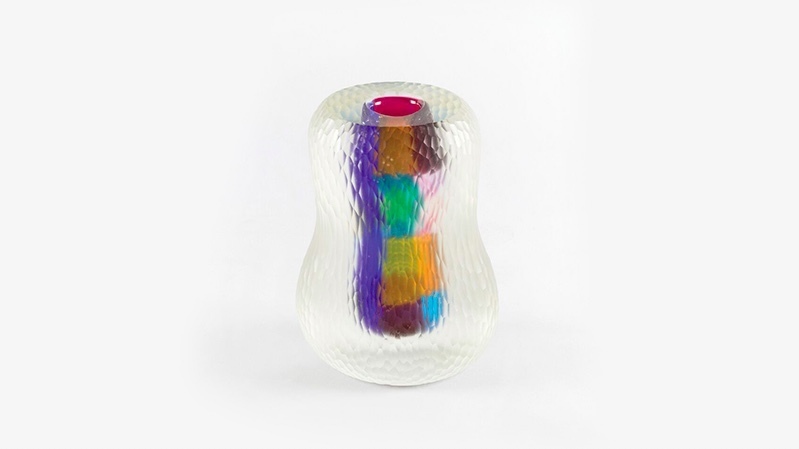 Pieces made from their collaboration are in the auction, including a rare Gomitolo vase, which was exhibited in 1954 at the Venice Biennale. 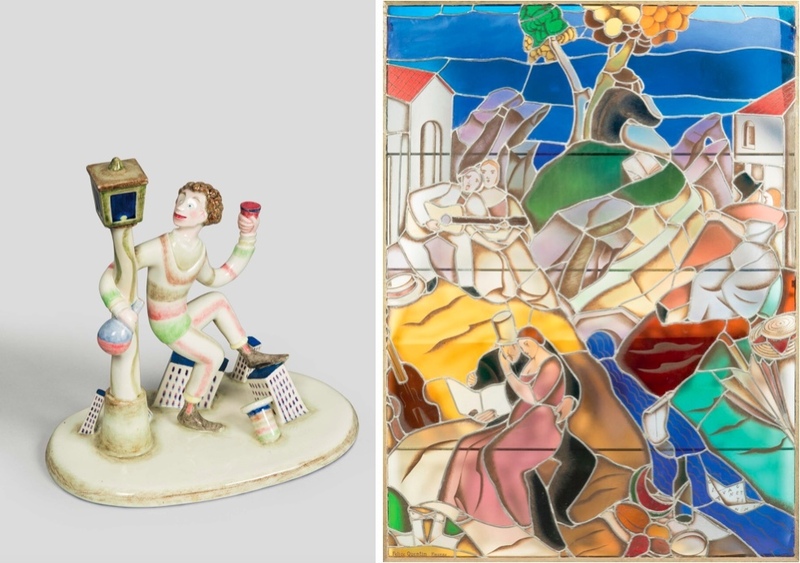 In keeping with the Murano Glass Auction, Cambi Casa d'aste is organizing an auction of 20th century decorative art to coincide with the Murano auction. This polychrome stained glass window by Gli Amanti comes from a private collection. It was made in 1928 by Felice Quentin in Florence, based on a drawing by the painter Gianni Vagnetti. A year later Mario Sturani created pieces from the ceramics factory Lenci in Turin. 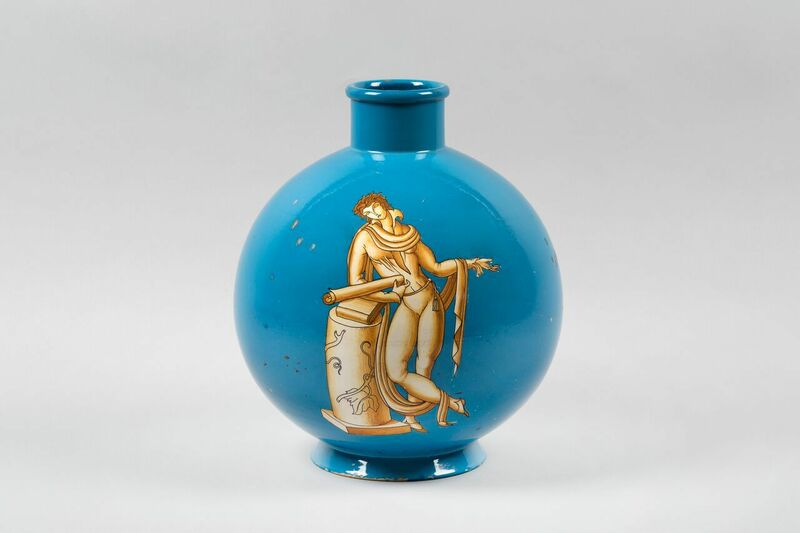 This large majolica vase was created by the designer and architect Gio Ponti created it around 1930 for the Tuscan manufactory Richard Ginori, for which he worked as an artistic director from 1923 to 1930. Both auctions will take place on 27th February in the Palazzo Serbelloni in Milan. Exhibitions will be held from 23rd-26th. Check out more on Barnebys here.